In family law, mediation is a process where two parties meet with a neutral third-party who will help them resolve their disputes. The mediators at Farkhad & Wang will help parties resolve disputes related to their child custody, child support, spousal support (alimony), property division, and any other disputes related to their divorce. 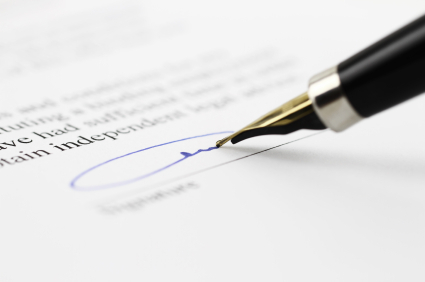 We will also prepare all the necessary forms that must be filed with the Court in order to formalize your agreement. Why should I choose mediation? Mediation has many benefits. First, unlike litigation, you stand to save a lot of money on attorney’s fees and costs. Second, you will save a lot of time because you won’t have to wait to get a hearing date in Court (which can take anywhere between 2-6 months depending on the issue). Finally, and most importantly, people who participate in mediation are more likely to have an amicable relationship moving forward than those who choose to litigate in Court. To read about additional benefits of mediation, click here. Does a mediator need to be an attorney? We highly recommend that you choose a mediator who is not only a licensed California attorney but an attorney who focuses their practice on Family Law. This is because even though the mediator can’t represent either party, they can address disputes that they know (through experience) may eventually come up. The mediators at Farkhad & Wang are California licensed attorneys who limit their practice to Family Law. As a result of our legal experience we know what disputes are likely to come up in the future and we will address those concerns during meditation. By addressing a potential issue in mediation, you will avoid having to come back to Court and litigate the issue in the future. Can I still obtain legal advice if I choose to go through mediation? Yes. At Farkhad & Wang, we recommend that each party first consult with an attorney to ensure that they understand the legal ramifications and impacts of the final negotiated agreement before they sign it. We also encourage the parties to speak to an attorney throughout the mediation process so that they understand what their rights are and that all of their legal questions are answered. What happens if we don’t have an agreement at the end of mediation? At Farkhad & Wang, all of our mediation cases have resulted in an agreement. However, in the unlikely event that you don’t reach an agreement at the end of mediation, you can always resort to litigation. Mediation does not prevent you from being able to litigate your case in the future. If we don’t enter into a mediated agreement, can one of the attorneys at Farkhad & Wang represent me at Court? No. In the unlikely event that you and the other party don’t reach an agreement at the end of your mediation sessions with Farkhad & Wang, the attorneys at Farkhad & Wang would be unable to represent you or the other party in Court due to ethical conflicts. Are there any types of cases where you don’t recommend mediation? Mediation is a great option for many cases. However, we don’t recommend that you try to mediate the case if there are any domestic violence or abuse issues in your case. To schedule a mediation appointment, call us at (949) 391-3118.